Imagine you're walking home from high school on a cool Monday evening. It's senior year. Graduation is right around the corner. It's exciting and a little scary -- especially since you turn 18 in just one week, and you'll head off to college soon. In the corner of your eye you notice a black SUV pulling up beside you. You glance back as a man rolls down his window. He has a gun. Suddenly, four shots. You're dead. Sadly, this is a true story. It happened on March 2. The victim was an 18-year-old African American student in Chicago. Yet there was no story of this horrific crime on the local evening news. There was no mention on the morning news the following day. Nor was it covered on the afternoon news. Perhaps the producers figured that there was no real new news to cover. After all, shootings are common in Chicago's poor minority neighborhoods. According to the Pew Research Center, Chicago has been among the top three cities with the most murders since 1985. Last year, 432 homicides occurred in the city; in 80 percent of the cases, the victims were young black men. Chicago counts 60 homicides since January 2015. Perhaps, this was just one more. But around 4 p.m. the next day, something changed. The head of the student's school, Mr. Tim King, sent out an email. Suddenly, King's phone started ringing off the hook. People reached out from all over. News crews showed up at the school campus. Concerned citizens went to the victim's home. Why the sudden attention? It turned out that the boy who had been shot attended Chicago's prestigious Urban Prep Academy -- Englewood. He now had a name: Deonte M. Hoard. Deonte M. Hoard. Source: Facebook. Mr. Hoard's school is part of Urban Prep Academies, a nonprofit organization founded in 2002 by Mr. King and a group of African-American education, business and civic leaders. Its mission is to "provide a comprehensive, high-quality college preparatory education to young men that results in graduates succeeding in college." Typically, students arrive at Urban Prep far behind academically and developmentally: 20 percent require special education, 85 percent are low-income, and 90 percent come from single parent, female-headed households. 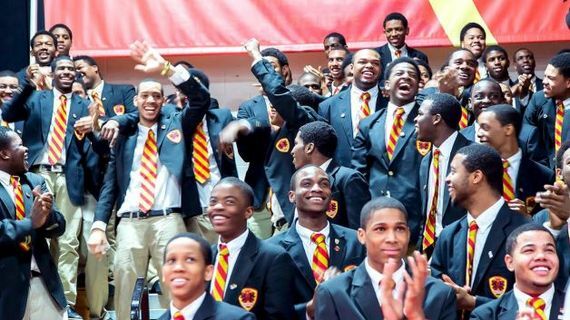 Yet Urban Prep has a 100 percent college acceptance rate and the highest college enrollment rate of all public schools in the city of Chicago, making it widely considered the national gold standard in urban public education for young men. Mr. Tim King, Founder & CEO of Urban Prep, speaking at SXSWedu in March 2015. 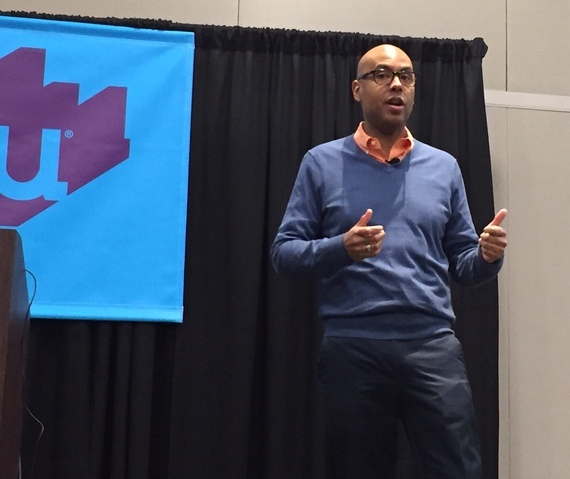 Speaking at South by Southwest Education in Austin, Texas last week, Mr. King explained that his first job when a student enrolls at Urban Prep is to help him "unlearn" negative stereotypes that have been internalized throughout his life. Students arrive, King said, "believing that they're no good, that they're going to fail, that they're worthless. Believing that there is zero in their lives for their future." Therefore, King's job "first and foremost is to teach them a new narrative... to unlearn what they have learned." By creating a school culture that's based on "respect, responsibility, ritual, and relationships," Urban Prep creates an environment where students respect themselves and respect each other. Students and faculty address each other as "Mr." and "Ms." The culture is centered around the pursuit of going to college. "This counter narrative convinces students that they can achieve," King explained, "that they are something else, that they are something different, something more. That they're not limited, but they're limitless." Urban Prep has now expanded its mission to spread the "counter-narrative" to reach beyond schools walls. As the media coverage of Mr. Hoard's death exemplified, they have been successful. In the days that followed Mr. King's email notifying the public of the tragic shooting, headline stories emerged. The Chicago Tribune wrote: "Urban Prep student slain near home." 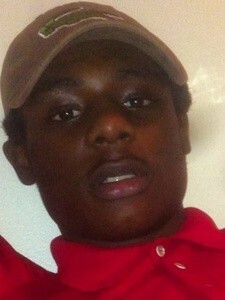 The Chicago Sun-Times reported: "Urban Prep-Englewood student Deonte Hoard killed in South Deering shooting." Yahoo News announced: "Deonte Hoard, Urban Prep student, fatally shot." These are three of many headlines that began emerging about 20 minutes after Mr. King sent his email, all of which identified Mr. Hoard as "Urban Prep." The fact that Mr. Hoard's murder was not even a footnote in the public discourse prior to his being labeled "Urban Prep" is troubling. While it is one hand a testament to the school's exceptional record, it is on the other a depressing illustration of the current reality facing so many young black men in America today. Perhaps we, the broader public, should take a serious look at how we might scale Mr. King's "counter-narrative" approach beyond the classroom. Doing so could bring us one step closer to a world in which the tragedy of Mr. Hoard's death would be acknowledged and mourned regardless of where he went to school, but because he was a human being whose life had value.